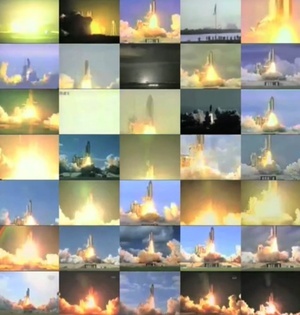 Grand Finale by McLean Fahnestock: all the shuttle launches from 1981 to 2011, including Challenger, synced for simultaneous lift-off. Quite the audiovisual experience in fullscreen. Posted in Misc and tagged montage, NASA at 4:38 pm on July 9, 2012 by Broadsheet.